19 Bryant Avenue in Roslyn was the place to be—and the place to be heard—in the 70s and 80s. Abbey Road, Highway 61, E Street…Bryant Avenue? The latter may not seem to fit, but make no mistake, the venue formerly housed at 19 Bryant Avenue in Roslyn had an indelible effect on popular music, giving rise to a plethora of icons. The 7,000-square-foot space lived many different mid-century lives: car dealership, funeral parlor, bakery and bowling alley named Roslyn Bowl. In the wake of the AMF Bowling boom in the early 1960s, Roslyn Bowl nearly went out of business. 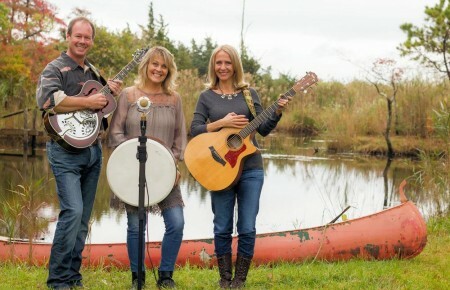 To compete, owner Jay Linehan began booking country music acts. At the suggestion of his son Linehan changed the name to My Father’s Place, also known as MFP. That same year, a 22-year-old from Rockville Centre named Michael “Eppy” Epstein opened a head shop in Roslyn called Never When. But when the town prevented him from converting the space into a coffee shop, Epstein, a former musician, reached out to Linehan and offered to book My Father’s Place with rock acts. Richie Havens, who Epstein knew from his days as an on-the-road musician, played the first show at My Father’s Place on May 31, 1971. It sold out. And Epstein became co-owner. 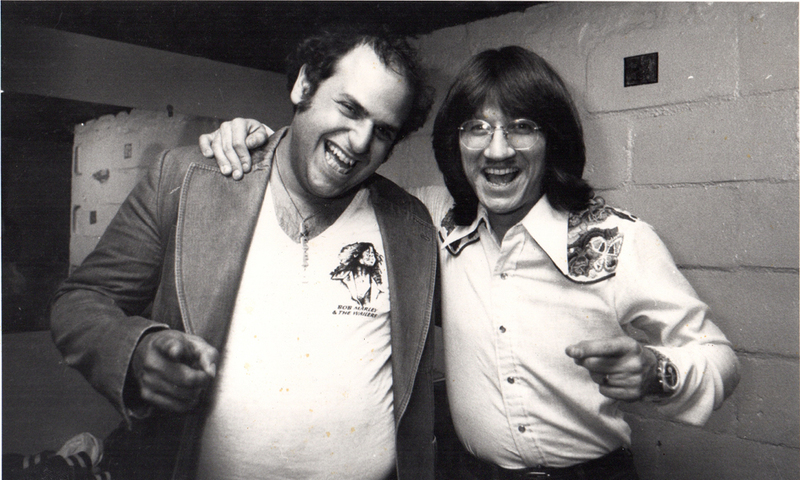 Michael “Eppy” Epstein poses backstage with Richie Furay of Buffalo Springfield. Furay will return to My Father’s Place to perform on Oct 25. In an effort to keep selling tickets, Epstein turned to radio to promote the club and in 1972 forged a deal with local radio station WLIR to broadcast concerts from MFP. 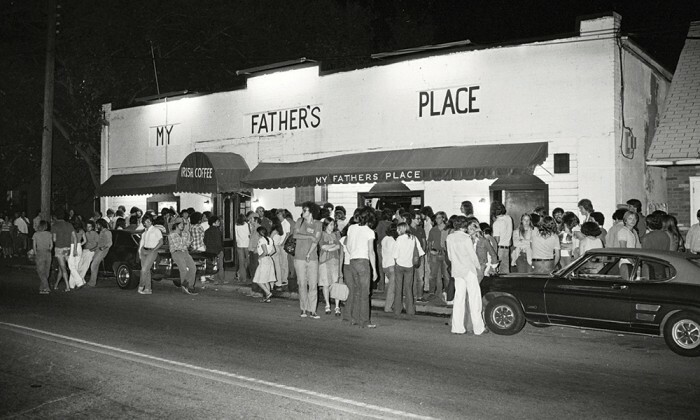 In its 16-year lifespan, My Father’s Place held 6,000-plus shows led by more than 3,000 diverse artists. The space became a breeding ground for young, then-unknown musicians including Madonna, U2, Aerosmith, the Police and Tom Petty. Up-and-coming comics Billy Crystal, Eddie Murphy and Andy Kaufman also graced the club’s stage at various times between 1971 and May 1987, when the club shuttered. WLIR would close later that year. A double-closure marking the end of an era. Cut to 31 years later. The new MFP is located at the refurbished Roslyn Hotel, just blocks from the original venue. The 77-room hotel was recently bought and renovated by father-and-son investors Sudhir and Sumeer Kakar. The three-story hotel’s old banquet hall and ballroom have been transformed into the 21st-century version of My Father’s Place. Epstein is quick to point out that the new MFP will not resemble the former nightclub. In addition to being 5,000-square-feet smaller than the original, the new space will be a supper club complete with 200 seats. “We are going to ask people to come in, sit down and watch,” Epstein said. “It’s not a place to jump around in like the other club was.” Additionally, the price of admission has gone up from $5 to $15–$75. Customers will also have to spend $25 minimum per person for food and beverage. 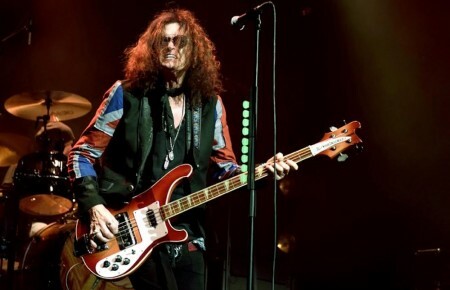 Epstein, the president and CEO of the Rozlyn Entertainment Corporation will run the performance venue alongside CFO Alex Ewen and COO/general manager Dan Kellachan, who for many years ran publicity for Westbury Music Fair. 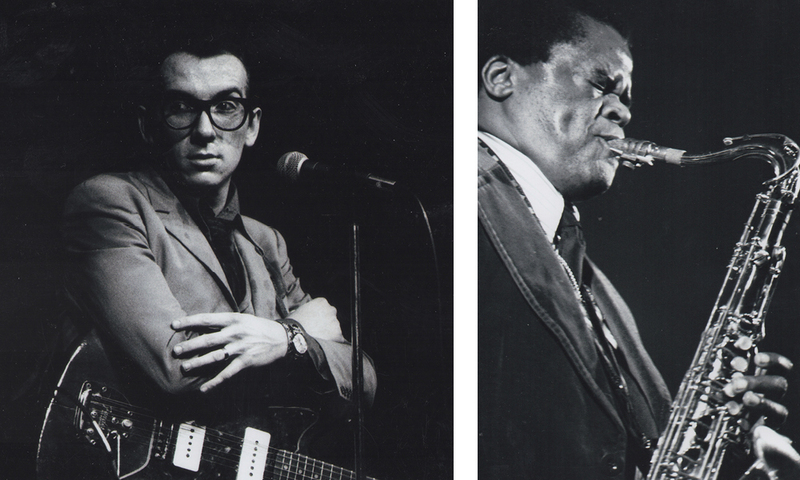 Elvis Costello, left, and Stanley Turrentine. Epstein made the original MFP stand out by playing host to a variety of artists from various genres including reggae, young punk and new wave. The spot was considered one of the country’s top music showcases and an essential place for new talent to perform. Before they became famous, The Ramones, Blondie and The Talking Heads all played MFP, as did country, bluegrass and blues artists including Charlie Daniels, Linda Ronstadt and Stevie Ray Vaughn.